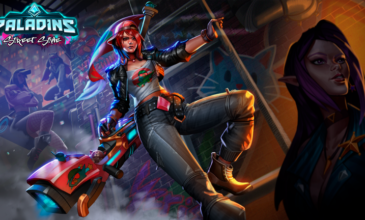 Paladins – How to get FREE SKINS ! Link your Mixer account at https://my.hirezstudios.com/#link and instantly unlock a free Mixer Spray. Watch mixer.com/paladinsgame throughout the week to accumulate Mixer Points. Use your Mixer Points to score skins and other cosmetics from the in-game Mixer Store. There’s a special in-game quest to get the Limited Mixer Khan skin. Amass 600 Points to automatically unlock this behemoth. We’ve prepared an entire weekly schedule of Paladins content and unique streamers for you. In addition to Mixer Points, you’ll earn Sparks for every minute you watch. Use these on individual streamer’s channels to support your favorite content creators and help them reach milestones that give real money payouts. The Mixer Store is only around for a limited time and the selection will change regularly, so join the fun on Mixer and start earning Points now!